From channel players such as Axiom to Dominion Lending Centres, the list of finalists for the Broker Network of the Year reads like a veritable Who’s Who of the industry. The separate lists for the coveted Broker of the Year categories are just as representative of the breadth and scope of the channel. Indeed, finalist names in all 21 categories are now before the awards’ distinguished jurists, themselves drawn from across Canada, within and outside the industry. PricewaterhouseCoopers will audit the exhaustive adjudication process, and a full list of all finalists will appear in the upcoming April issue of CMP. 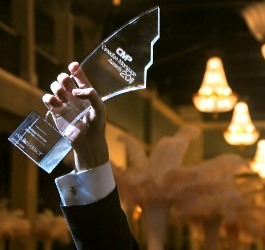 The awards will be handed out May 10 at the CMA gala at Toronto’s Liberty Grand. The annual event comes on the tail-end of the Mortgage Summit at the Toronto Congress Centre. It will see more than 500 converge for two days of sessions and networking focused on helping brokers up their collective game on May 9, 10. Argentum Mortgage & Finance Corp.